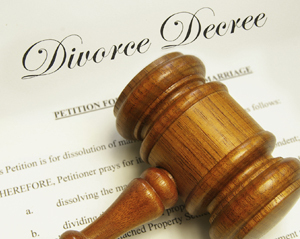 Massachusetts law authorizes a court in a divorce case to allow a divorcing spouse to resume the use of a maiden name or the name of a former spouse in the divorce judgment. Additionally, in an adoption decree the court may change the child's name should the petitioner so request. If you wish to change your name, or the name of a minor child, at any other time other than during the course of a divorce or adoption proceeding, a Petition for Change of Name is heard by the Probate and Family Court of the county where the petitioner resides. Occasionally, after the divorce is finalized a custodial parent petitions to change the name of a minor child, at times over the objection of the non-custodial parent. In Massachusetts, such a change of name can be made if it is in the best interest of the child. Under Massachusetts General Laws c. 210, section 13, the court shall require notice of the petition to be given and any person may be heard thereon. Therefore, notice of the petition must be given to the non-custodial parent in the case of a petition to change the name of a minor child. The court may order notice to be given through in-hand service by a disinterested party or publication in a local newspaper. When notice of the petition has been given, and no person appeared to object, the court may proceed to allow the change of name.